The pleasant and mild stretch of weather that the area has been experiencing is coming to an end, and in its place is the potential for a heat wave. WASHINGTON — Things are quite literally heating up in the D.C. area. A heat wave is expected to pass through the area beginning on Sunday. A heat wave is a stretch of three consecutive days with temperatures above 90 degrees. The National Weather Service’s forecast has temperatures rising and hitting the 95-degree mark on Sunday. Monday is looking even hotter, with the potential of reaching 97 degrees. Tuesday also brings temperatures in the 90s, with the possibility of thunderstorms. But it’s not just the heat, it’s the humidity. 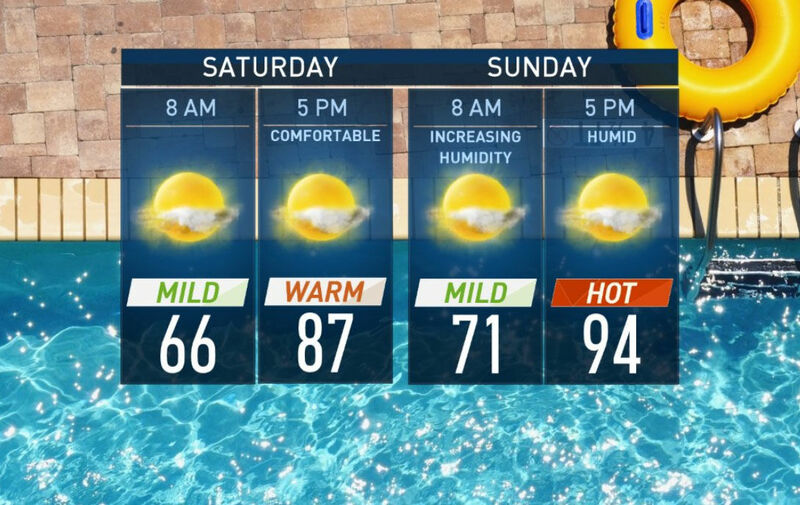 The humidity will start to creep in on Sunday morning, so even though the temperatures are in the low to mid 90s, it will feel like it is closer to 100 degrees on Sunday afternoon. Monday and Tuesday could be even worse. The temperatures are expected to reach the mid to upper 90s, but the humidity will make it feel like it is in the triple digits. 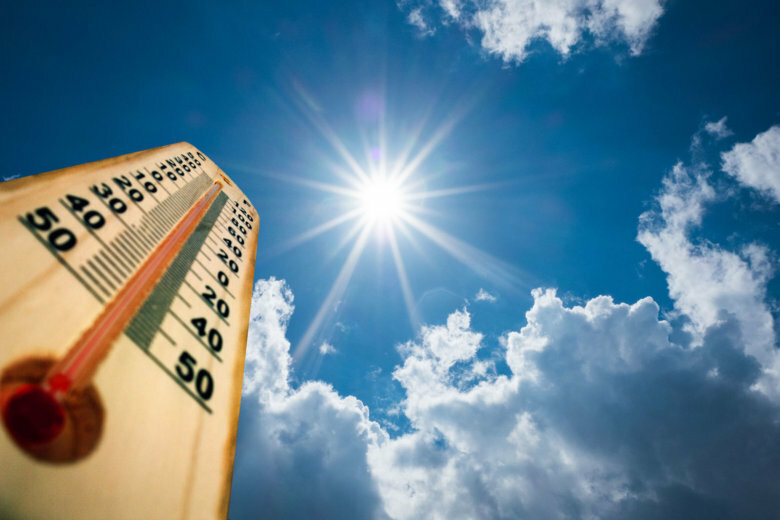 Storm Team4 meteorologist Matt Ritter said that the system that brought on those pleasant temperatures earlier in the week may actually be to blame for the approaching heat wave. These high temperatures are not unusual for this time of year — the official start of summer is less than a week away — but there may still be a high temperature record set during this stretch of heat. Of all the daily records for the days the area will be experiencing the brunt of the heat, Monday may challenge the previous record, which was set on a 97-degree day in 1944. Saturday: Mostly sunny. Very warm and becoming more humid late in the day. Highs: mid to upper 80s. Sunday: Mostly to partly sunny. Hot and humid. Highs: low to mid 90s. Heat Index close to 100. Monday: Partly sunny. Very hot and humid. Highs: mid to upper 90s. Heat Index 100-105. Tuesday: Increasing clouds. Very hot and humid. Highs: mid to upper 90s. Heat Index 100-105.